Throughout my life I have made a lot of batches of cookies. In my family cookies never lasted long and were in high demand in planting and harvest seasons. Thankfully, my family wasn’t picky about their cookies, because not many of my batches of cookies were very good. It has only been in the past few months that I have learned to make good cookies. 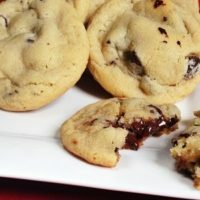 Through practice batches and reading about cookie making techniques online, my cookies have improved. Here is a list of some of the tips I have learned. Always use butter. It gives the best flavor. And when the recipe says soften it, don’t let it melt even a bit. It is best to just let it sit on the counter till room temperature. Trying to soften it in the microwave often leads to melted butter, which does not give the dough the structure it needs. Then, it is best to use room temperature eggs. Using cold eggs can cause your butter to harden up again. Add cornstarch or pudding mix. Both will make your cookies softer. Butter has better flavor than shortening, but it tends to make the cookies flat and crispy. Cornstarch or pudding mix counteracts this and acts as a thickening agent. Always chill the dough before you bake it. This is a major step. I form my dough into balls and then let them sit in the refrigerator for at least two hours. 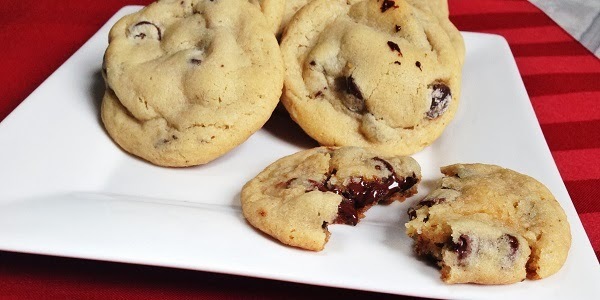 Skipping this step will make your cookies flat and crunchy. Stir until combined. Stir in chocolate chips. Form into balls about an inch or slightly more in diameter. 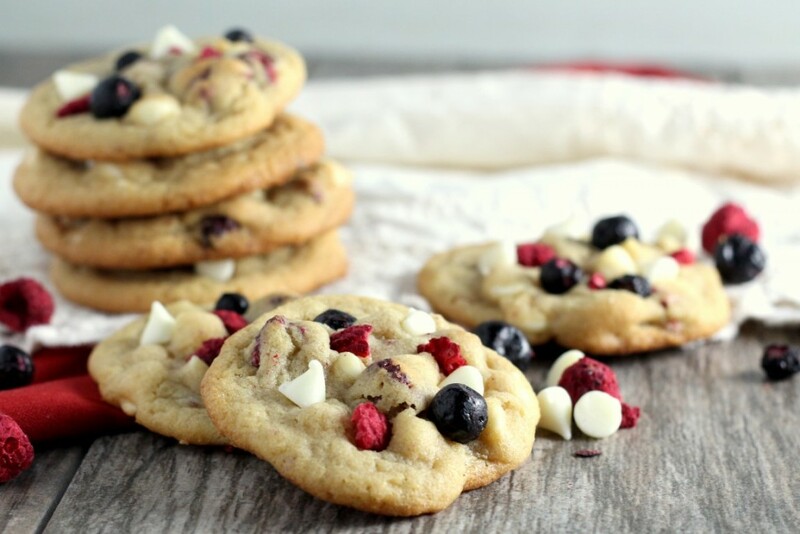 Try this Red White and Blueberry version next!